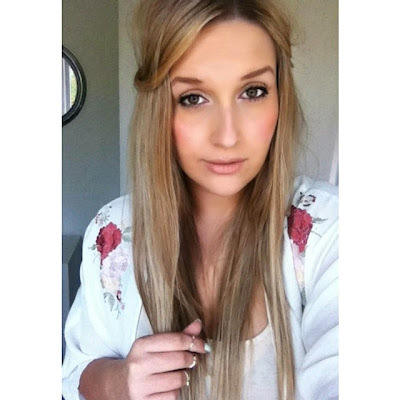 I previously tried Anastasia brow wiz ash blonde eyebrow pencil and was absolutely smitten. However, for someone with very fair, sparse eyebrows the product was soon used up and I was left with a tiny speck of brow wiz. I knew I had been converted by the brand from Beverly Hills and needed to re-purchase the product and fast. For quite some time I had been on a waiting list for the Dipbrow Pomade and was giving up hope that it would ever be restocked. I randomly checked on the http://www.cultbeauty.co.uk website to see if it was available and there it was. It was added to my basket in a heartbeat. The Pomade is in the colour Blonde, an ash blonde colour that would also be ideal for ladies with light brown hair. The consistency is a gel/mousse like product that glides through the brows with ease and dries fairly quickly. It sets hairs, adds colour and does not make them look heavily drawn, but can be worked through to thicken and create more dramatic brows. I had contemplated purchasing the Anastasia brow brush, but the Mac 208 brush does the job perfectly. I even wore this bad boy at the sauna this weekend and it did not budge! It is waterproof and will most definitely last longer than any eyebrow pencil. Below is a picture and as you can see, brows in place thanks to DIPBROW!